Compact flavored corn tumbler GM2705. Gently tumbles the flavors on the popped corn. 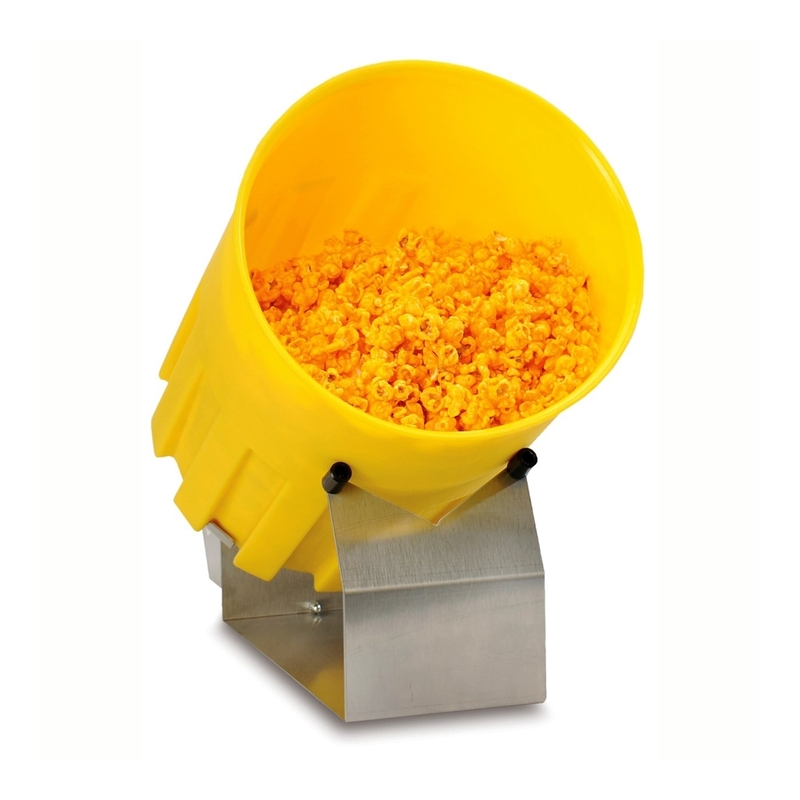 Create gourmet flavored popcorn with this economical mini tumbler. This tumbler comes with a lid for easy storage in the stay-fresh container. Holds up to 2.5 gallons of popped corn. Mix and store flavors in one easy step. Pairs great with the 15 lbs. #2403 Cheddar Classic.